There are many new features to be interested in with iOS 12, and while Siri Shortcuts have perhaps earned the most plaudits, Apple’s pushing of users towards unique, secure passwords should also be lauded. People reusing passwords is not something that should happen in 2018, but alas, it does. 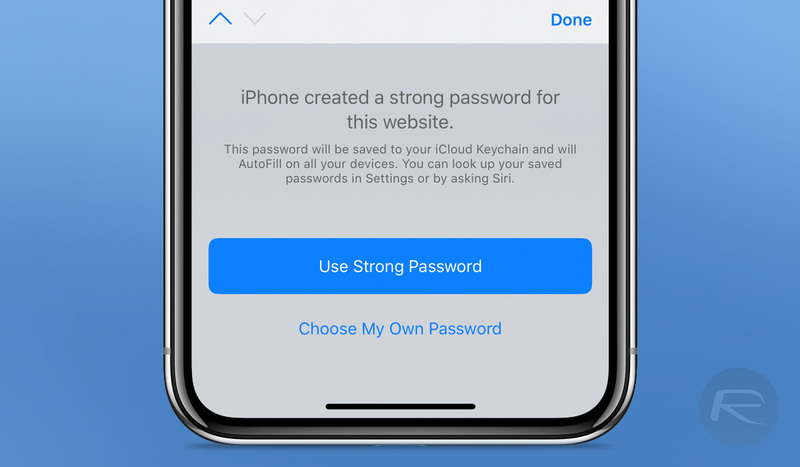 Apple’s iOS 12 helps users not only create their own strong passwords, but it also helps recognize those that have been reused. As we all know, reusing passwords is a recipe for disaster because if one service is compromised, that means you need to reset all of your other service accounts because they can all now be accessed using the compromised details. For this reason, it’s vital to use unique passwords, but they also need to be strong. Apple’s allowing users to create them on-device, and here’s how you go about it. Step 1: Open Safari and then open a website that requires a new password to be set up. This will also work in third-party apps. Step 2: Enter a desired username or email address as well as any other details and then tap on the password field. Step 3: You’ll notice that iOS will automatically generate a strong password and populate it. Step 4: Tap Use Strong Password to accept the new suggestion and save it to iCloud Keychain. 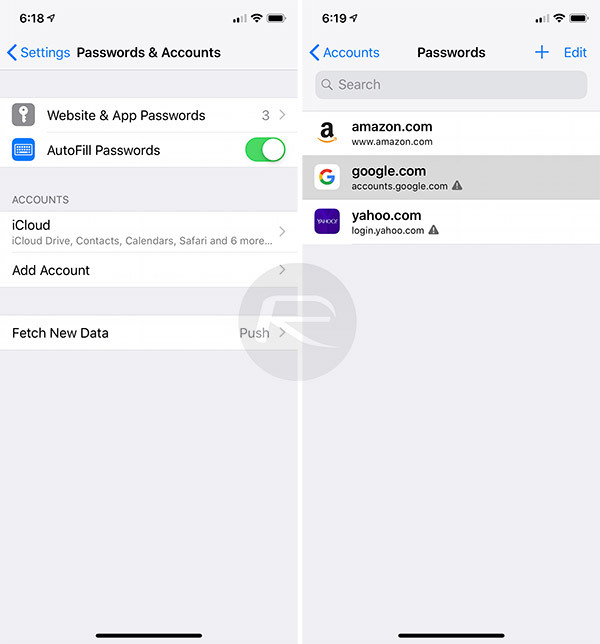 Step 1: Open the Settings app on your iPhone or iPad and tap Passwords & Accounts. Step 2: Authenticate via whichever method is necessary. Step 3: Scroll down your list of passwords and select any that have a triangular warning sign beside them. Step 4: Tap Change Password on Website to open the website and change the offending password. 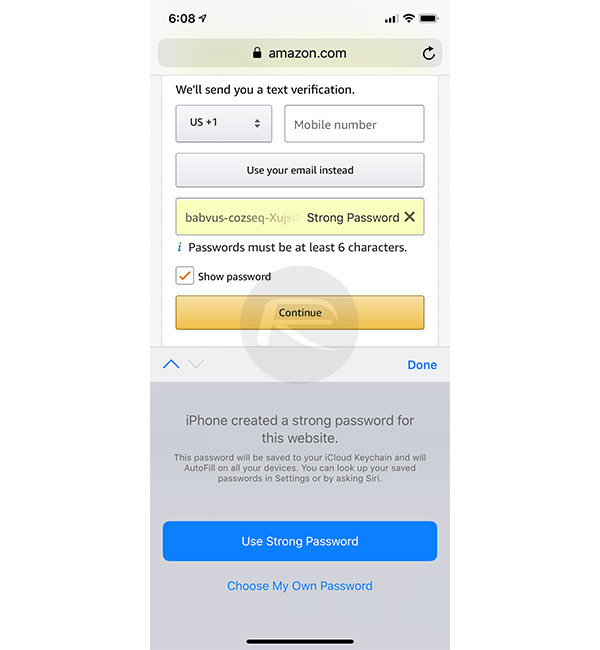 It’s worth noting that while all of this is built right into iOS 12, similar and indeed more advanced functionality can be gained by using third-party password managers, too.